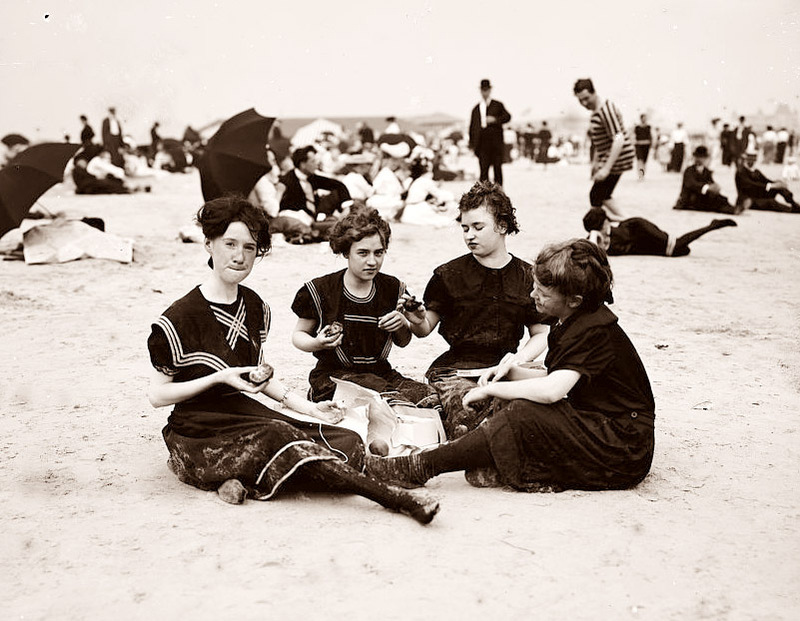 Today’s picture is from about 1900, and it shows some young people enjoying a picnic on the beach. Guauuuuuu !!!! ¿Eso que se ve por ahi no es la forma de un tobillo? ¡¡¡Como me gusta el verano y las chicas en la playa !! !